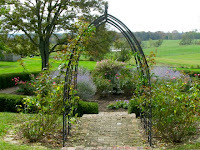 In honor of October being the month of Halloween - and other things spooky - all of my blogs this month will deal with a haunted location and the cemetery that ties into the story. 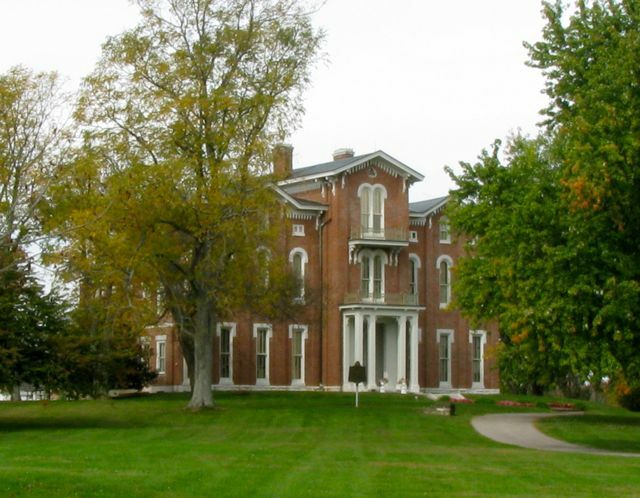 White Hall was the Kentucky home of Cassius Clay, 19th century emancipationist. Located near Richmond, Kentucky, the mansion was originally built by Clay’s father, Green Clay in 1798-99, and named Clermont. 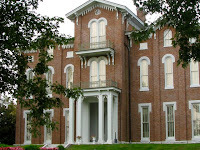 When Clay inherited the house in 1861, his wife, Mary Jane, decided to have the home remodeled in the Italianate style. She literally had part of the new house built over the old. The original home had seven rooms. When the new house was finished it boasted 44 rooms, counting closets and bathrooms. The home was then renamed White Hall. Green Clay was a landowner of magnificent proportions. It was never known how much acreage he actually owned, but the land made up at least two counties! Green Clay came to Kentucky with Daniel Boone. He made his fortune as a surveyor, taking 50% of the land surveyed for his work. 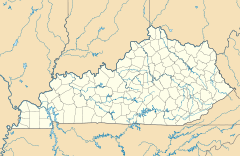 On these lands he grew hemp, raised sheep and owned farms, distilleries, taverns, and a ferry, which crossed the Kentucky River. 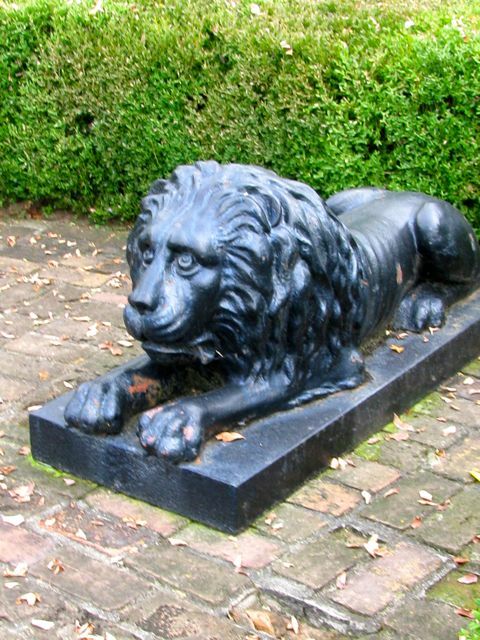 He became one of the wealthiest land owners and largest slaveholders in Kentucky. 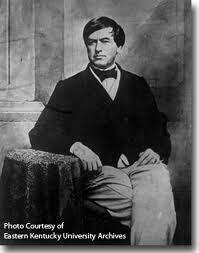 Cassius Marcellus Clay was born October 19, 1810 at Clermont. Clay attended Yale and it was there that he heard an anti-slavery speech, given by William Lloyd Garrison, that set his course for life. From that point on, Clay rallied that slaves should be freed gradually by legal means, and slavery abolished. As a lawyer and dedicated emancipationist, he spoke around the south for the freedom of slaves. Many times he was threatened and injured, but Clay always managed to gain the upper hand. He had the apt reputation of being a great fighter. Although a Southern land owner, Clay was true to his principles and freed the slaves he owned in 1844. In 1833, he married Mary Jane Warfield. They were married for 45 years and had ten children. 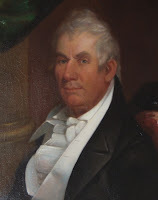 Clay became a Kentucky state representative from 1835 to 1837. And in 1844, he campaigned for his cousin, Henry Clay, when he ran unsuccessfully for U.S. Presidency. In 1845, Clay started and published the True American newspaper, in Lexington. The newspaper championed freedom from slavery. In 1846, even though he was against the annexation of Texas, Clay volunteered to serve in the Mexican War. When the war was over, the people of Fayette County, Kentucky presented him with a Tiffany sword in honor of his bravery and compassion on the battlefield. 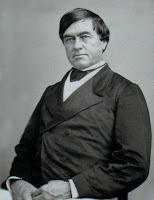 Clay also served in the General Assembly three times and made an unsuccessful bid for Governor of Kentucky in 1851. 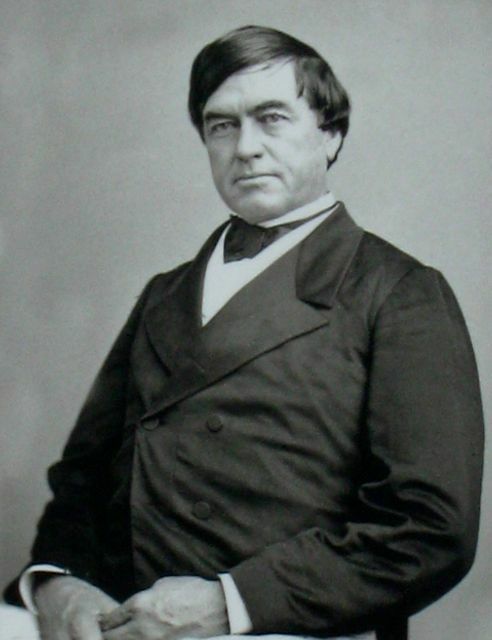 In 1860, Clay again campaigned for a presidential candidate. This time, the man he championed, Abraham Lincoln, won. 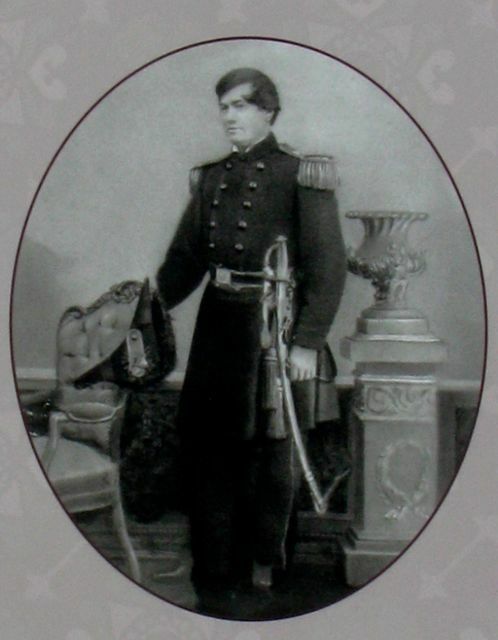 Clay was appointed as a major general, and became an envoy between the state of Kentucky and the President. 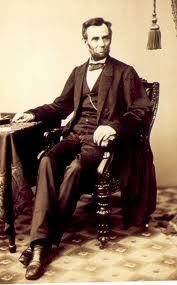 It was, in part, due to these reports that Lincoln signed the Emancipation Proclamation in 1863. 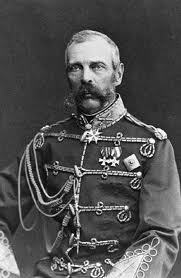 Clay was also appointed as minister to the court of Czar Alexander II of Russia for two terms. Because of this, he was able to act as a liaison in the U.S. purchase of Alaska. Cassius Clay returned from Russia to White Hall in 1869. Years of separation, rumors of infidelity, and financial problems put a toll on his marriage. In 1878, after more than 45 years of marriage, Cassius and Mary Jane divorced. 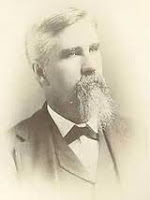 In 1879, Clay married 15-year–old Dora Richardson, bringing national scandal on the family. The marriage lasted only four years before they too, were divorced. But the legacy of White Hall does not end there. When Clay died in 1903, the home was abandoned. It eventually fell into ruin and was used by tenant farmers as a barn to store grain, tractors and house chickens. 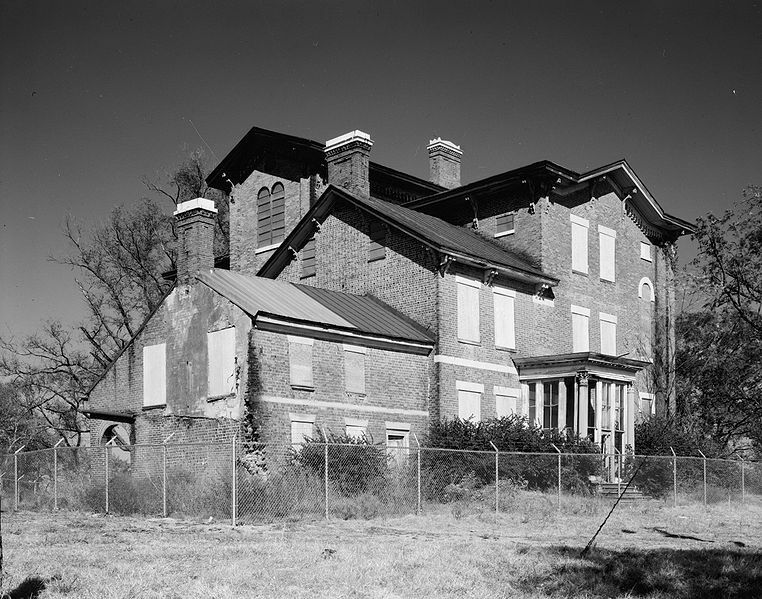 It was 1967 when the Madison County Garden Club suggested that the state consider saving the old mansion and turn it into a state park. In 1968, the deed for the mansion and 13 acres was donated by the Clay heirs to the state of Kentucky. 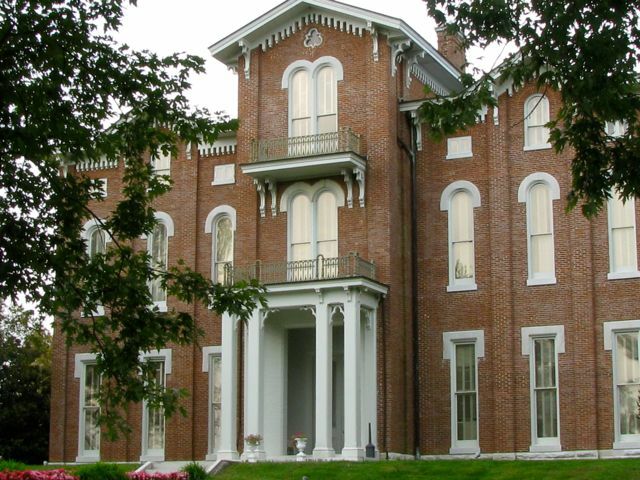 Restoration was undertaken immediately by Kentucky’s First Lady, Beulah Nunn and the Kentucky Mansions Preservation Foundation. 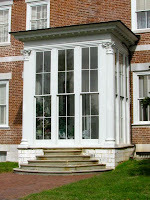 The mansion, restored to its former glory, was opened to the public in September of 1971. 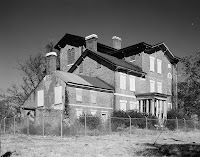 And, as with many historical homes, White Hall has the reputation of being haunted. Even tour guides will tell you that something stirs about the place. Mysterious lights are seen, hushed conversations are heard, rose perfume drifts through the house at odd moments, pipe smoke can be smelled at times, ghostly dinner parties still take place in the dining room, complete with the tinkle of glasses, lively, though undistinguishable conversation, and the delicious smell of food. Tis the season for ghosts, but you don’t have long to visit. 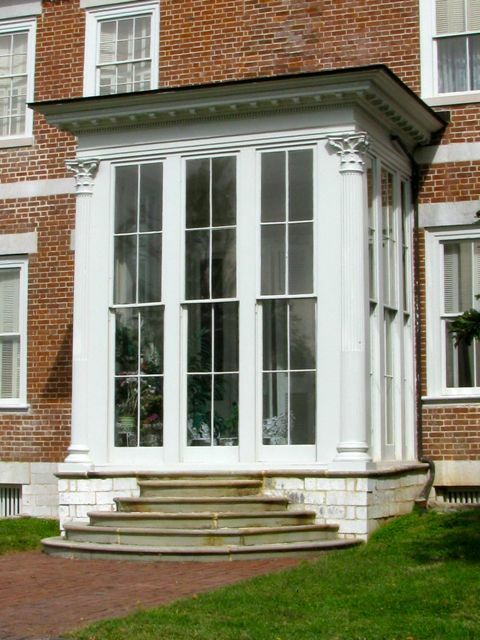 Guided tours of White Hall are available from April 1st through October 31st. Tours are given by guides in period dress. The home is closed to public tours from November through March. Special events are held throughout the year. These annual events include the “Scandals and Ghost Stories” tour in July, the Ghost Walk tours held in October, and the Victorian Christmas tours in December. Reservations are required for these special events. 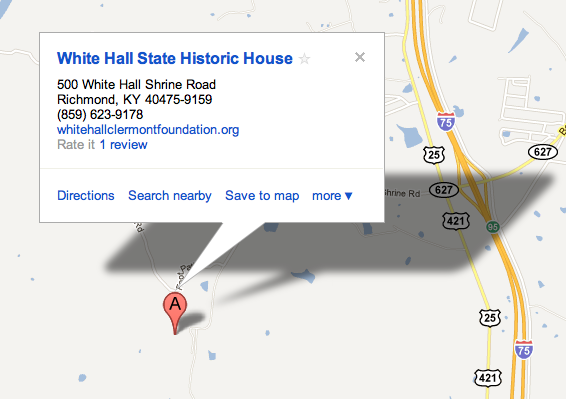 or the White Hall –Clermont Foundation at http://www.whitehallclermontfoundation.org. Great research, Joy. Fascinating story! Thanks so much for visiting White Hall and for writing such a solid post about it's history! I hope you enjoyed seeing some of the history you discovered on the regular tour "come alive" at the Ghostwalk. We hope to see you at future events. I'm enjoying reading all your posts!!!! Thank you Jeffrey! I can see where White Hall could become addictive!! I love how you're not afraid to take history and make it real to visitors! Especially on those Ghost Walks - The introduction to the walk, in the voice of the house, was so poignant..... What a great idea! Cassius is my great-4 grandfather. thank you for your support. It's amazing how family history is so different than real history. Have you gotten his Memoris writings and speeches yet? If you do buy it from me on my http://deardementeddiary.com. I've published my first book and am working on my second and cam across your link so I might just use it in my book. How cool, Catherine! If you have not been to White Hall, GO! It is such a comfortable-feeling place. Keep us posted on your next book!